I have a bedtime when I'm writing new pieces. I like to tuck up by midnight, latest. But when I received an email from 'The Sensation' Jason Gavern I wanted to get it on here as soon as possible. The American heavyweight has just shot to the top of my popularity list. My blood went cold reading the respect the man has for the sport and the fans who support him around the world. That's enough from me.....please read on and I challenge you not to feel inspired. New Age Boxing (NAB): Firstly Jason, you've been over these shores a couple of times of late for Prizefghter and then the Joshua fight - how do you find the British fans treat you? 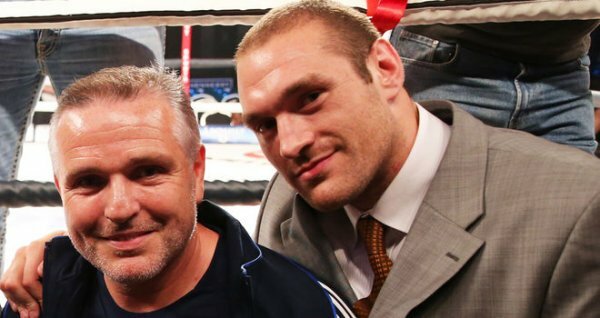 Jason Gavern (JG): I think that the UK fans are some of the best boxing fans in the world. Some of my best times in 15 years as a professional boxer have been in the UK. Coming into Prizefighter, the UK fans really weren't all that familiar with myself. I know going into my first fight with Larry Olubamiwo The fans were all for team UK. I think the fans took to me during that fight. They really were on my side during the James Toney fight. I always try and put on a show in the ring for the fans. Its all about the fans ! For the Joshua fight, I was definitely treated great with everyone from the promoters, to the media, and the UK fans. Even though I lost the fight, I think the fans understood that I only took that fight on 7 days notice and still gave it a go. Definitely earned alot of respect from the UK fans. NAB: Prizefighter was your first taste of York Hall. It's considered the spiritual home of British boxing. What was the atmosphere like that night? JG: Oh man Prizefighter was one of the highlights of my career. York hall is definitely a special place. The atmosphere was electric and the fans were wild. It is a small venue but I liked it because it felt like the fans were right on top of you getting to feel and truly experience the fights. You can almost reach out and high five the people who were sitting in the balcony. It was definitely a really cool place to fight. I will have to say that we fought in November and the dressing rooms were absolutely freezing cold. It was tough because I was the first fight of the night and after I won, I had to come back into the dressing room after being all warmed up and sweaty and pretty much sit in an icebox. I'm 38 years young and it's tough warming up but to warm up and then get freezing cold then to have to warm back up to get ready for another fight was a really tough task. But overall, York Hall was a great experience. NAB: That night you picked up a win over James Toney - how does that win rate amongst your best victories? JG: James Toney is a boxing legend, a true old school hall of fame fighter. No one can ever take that away from him. I have been with James for 5 or 6 camps as a sparring partner. I was with James when he was still showing the Real James Toney not the one that I fought at Prizefighter. James is way past his prime. He really shouldn't be fighting anymore. I was just called a few weeks ago and was asked if I would be interested in fighting James again in a rematch. Really ? Why ? At this point, what would that even do for my career. Yes it was an honor to share the ring with James and I have nothing but the upmost respect for him as a fighter and what he has accomplished in the sport of boxing but he needs to hang em up ! NAB: At the start of your career you went 7 fights undefeated - what ambitions did you have when you started in the pro game? Also the Joshua fight was your 50th time in the ring - did you think you would make it to that many? JG: When I started to train in boxing, my life was pretty much already planned out. I was married, had my first daughter, owned my first home, was a police officer in Scranton Pa. and that was going to be my life. Grow in my job, raise my family, and live happily ever after. Then I had an affair on my wife and fell in love with this beautiful thing called boxing !!!!! LOL I didn't put my first pair of boxing gloves on until I was 20 years old. 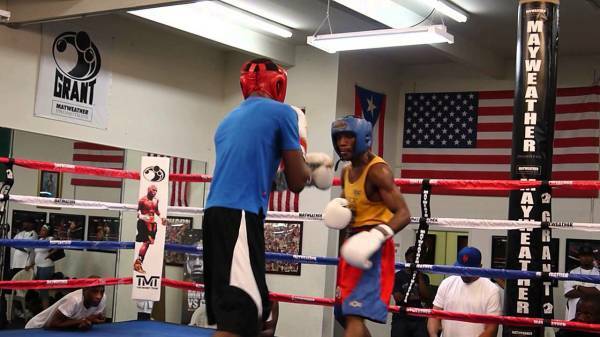 After only 2 weeks of taking boxing lessons and watching videos on how to box I had my first amateur fight. I have it on VHS tape and it's crazy to see how terrible that I was and the progress that I have made over the years. I lost my first 7 amateur fights and everyone thought that I was crazy for fighting but I was hooked. I had over 100 amateur fights, won a few Golden Gloves tournaments and once ranked 3 in the US in the super heavyweight division. I turned pro in 2002 still doing the family thing and still working as a police officer. It was difficult working the hours as a police officer and still finding time to train for my professional career. My wife and I sat down and talked about it and we decided that we were going to quit the police Dept. and I was going to pursue my boxing career. We moved to Kissimmee Florida and we have been here now for the past 12 years or so. I will have to say that if it wasn't for my wife and her support in my boxing career, I wouldn't have been able to do it. I never ever would have thought that when I turned pro, I would have traveled all over the world, meet all kinds of celebrities, trained in the best boxing camps in the world and have been with every heavyweight world champion over the last 7 years or so. I have hung out with and met boxing royalty. Boxing has truly been a blessing to me and then to be able to come to the UK and have my 50th pro boxing match was absolutely an absolute pleasure. NAB: You've fought all around the world (China, Spain, America, Britain) - is it hard to get ready for fights when they are in different areas, time zones etc? Or are you accustomed to it now? JG: My main problem is that I manage and promote myself. With that being said, no one is looking out for my best interest. I don't have any managers and/ or promoters giving me proper training time to get ready for fights. I am getting phone calls and offered fights on only days notice and if I'm lucky maybe 2 weeks. I know it is my job to always stay in the gym and stay in shape and be ready for a fight call but I'm not going to lie, it's really hard to stay in boxing shape 24/7. I'm always in the gym and always doing something but there is being in shape and then there is being in boxing shape. It is totally 2 different worlds. 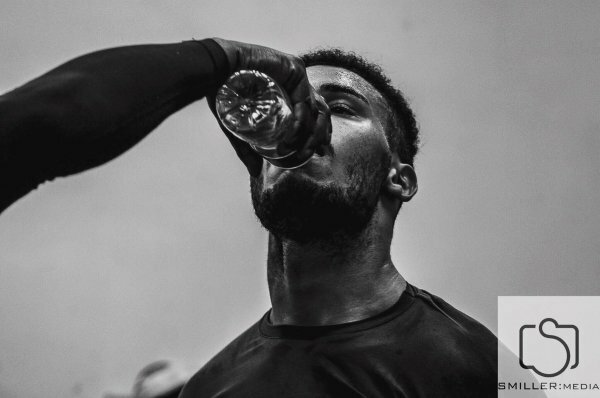 It's hard to come to the UK and fight Anthony Joshua on 1 weeks notice and really not even having time to train properly for the fight. By the time you travel with the jet lag and the time change and not having the proper training coming into a fight with someone like an AJ is a really tough mountain to climb. At the end of the day win lose or draw, I give 100 % of myself in that boxing ring. I love the sport and love the fans so any opportunity that I get to fight I have to take it. NAB: You have shared the ring with some heavy hitters - out of Joshua, Browne & Wilder who do you think hits with the most force? JG: At any time of the day, any man who is 6 ft.4 or 6 ft. 6 and weighs 235 lbs. plus is definitely going to be able to hit you hard. 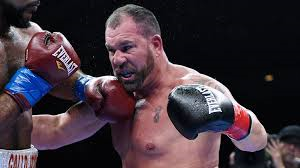 Yes I have fought all of these guys that you mentioned and they are at the top of their game right now and all are making a lot of noise in the heavyweight division. I fought Lucas Browne on 3 days notice and flew to Hong Kong for that fight. I fought Deontay Wilder on 1 weeks notice and fought Joshua on only 1 weeks notice and flew across the pond to the UK. It is hard to judge who is the hardest puncher amoung all that were mentioned because they were all getting maybe 50 % of Jason Gavern. Not saying that I would have beaten any of those guys but I am saying that if I had proper time to train for any of those fight I would have definitely given a much better account of myself. With all that being said, I am a big fan of Anthony Joshua. I strongly feel that he will at some point be heavyweight champ of the world and after Klitschko retires could be the future of the division. NAB: How far do you think Joshua will go? JG: Yes I am a fighter but I am also a huge boxing fan. I know who's fighting, when they are fighting and I watch most of the fights. I first met AJ when I fought in Prizefighter. He fought on the undercard and I was very impressed by the way that he fought. I haven't known about him up until that point but i definitely became a fan after I saw him fight. Eddie Hearn had me over to the UK and I sparred with Joshua for about a week or 10 days. I'm getting old and training is different, recovery is different, and I will have to say that sparring with Joshua definitely sucked !!!!! LOL He is such a big guy and he moves well he lays his weight on you and its hard to move him around the ring. I think he was taking it easy but it was still a painful experience. I was absolutely impressed with him. AJ has a great thing in Matchroom promotions and Eddie Hearn. They are moving him gradually and have been doing a fantastic job with everything that they are doing with him. AJ continues to get better and better with every fight and I am definitely looking forward to seeing him in the future. 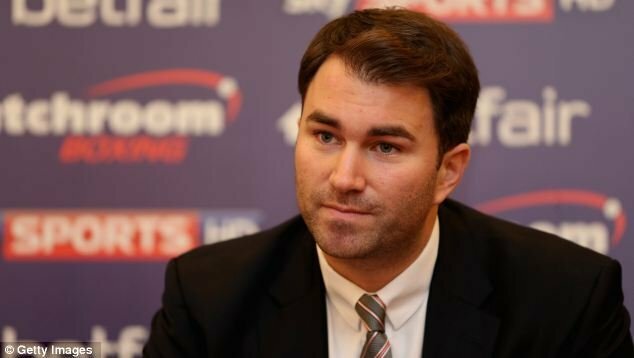 NAB: Eddie Hearn allegedly said that you were brought over as an opponent for Joshua because you bring "good banter". Do you find that disrespectful, or actually a compliment in the world of boxers bad mouthing each other? JG: First I want to again thank Eddie Hearn for allowing me the opportunity to fight both in Prizefighter and for the chance to fight their Golden boy Anthony Joshua. It was such an honor to do both. I like and respect Eddie alot for what he is doing in the game of boxing. He is all over the place and he is putting on some of the best shows in boxing. I am not or have I ever been one who gets into any pre fight war of words. I have a job to do and it all gets done in the ring. Yes hyping up a fight with confrontations or yelling matches will bring the public more involved in the fight and it would sell itself more but that just isn't my style. I'm sure Eddie means no disrespect with saying that and I think that no matter what the reason is that I got the AJ fight having "good banter" or not, I am doing something right to be getting opportunities like that. It is an honor for me to be called a journeymen fighter or a gatekeeper of sorts because that means that I am a respected fighter and that is all that I ask for. Despite what records say, guys like myself are needed in boxing. NAB: You still pick up wins yourself - do you have aspirations and goals still in the ring? JG: Because I manage and promote myself, if I ever want a fight, I have to pay all of the expenses that come with it. I am actually fighting next week in West Virginia on a small show but I am trying to get myself a win. That is another downfall of trying to do things yourself because I have to pay for my opponent's purse, his travel, food money, and I don't make a penny for the fight. I end up paying out around 2,500 $. but hopefully it will be worth it because I am investing back into my career. It's hard to be coming off of a loss or two and still get phone calls for the bigger paying fights. With me trying to get a win, I am pretty much investing in myself hoping to get a bigger fight call. I understand that I will not be heavyweight champion of the world but I still have some fight left and at this point it's about the money. I would like to leave boxing with a couple dollars in my pocket and move on. I have my kids college coming up and just life. So hopefully I'm still a name in this boxing game for a few more years. NAB: Finally, John Mcdonald now famously introduced you with a nice big "WOOOOOOOOO" when you came to the ring against Joshua. Has that stuck now, and how many times have you been "woooooooed" at? With that our Q&A is over. Needless to say the respect level for Jason Gavern has gone through the roof. A 'journeyman', a 'gatekeeper' - they may be insults to some fighters. But to Gavern you know that it's about the sport and the fans, not the labels. He may never be the world heavyweight champion, but that sits comfortably with Jason. One of the good guys of the sport, we wish him all the best. Jason's Twitter is @JasonGavern and you will also find him on Facebook : Jason Gavern.